Dwi Kusma Hadiyanto grew up in a farming family in Jember in the East Java province of Indonesia. His father has been a seed grower for tropical vegetable seed company East-West Seed since 1995, and encouraged his son Hadiyanto, whom he calls “Adi” to take agronomy at the University of Jember. At 30 years old, Adi is a very successful seed grower himself. Most people his age don’t understand why he chose farming as a profession. “I do not blame them because most parents do not want their children to be farmers. They are more proud to see their children become doctors, civil servants and other professions. Farming is still seen by many as a lowly profession, one that does not provide a bright future. But I disagree,” said Adi. 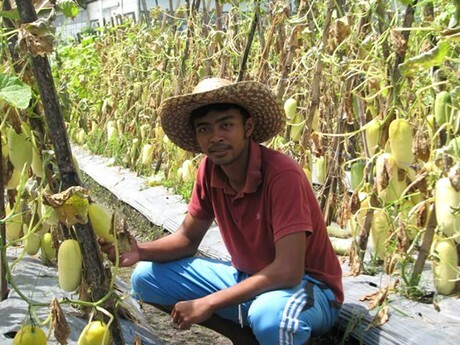 Adi joined the East-West Seed Indonesia (EWINDO) Creative Young Farmer program, which aims to inspire more next generation farmers to become seed producers. In this program, young people (below 30 years of age) are trained and mentored to become ambassadors for the profession of seed grower by East-West Seed providing them with training in seed production and resource management and connecting them via social media to share their knowledge and experience with each other. In November last year, the South and Southeast Asia Index was launched which also placed East-West Seed at number 1 among 24 companies surveyed. This is a four-peat for the Asia-based company, sustaining its good performance in 2016 when the first Seed Index was released and where East-West Seed led the pack in the Global Vegetable and East Africa indices. 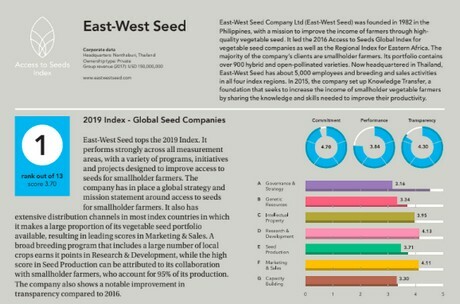 East-West Seed tops the 2019 Global Seed Index, outperforming 13 other global seed companies on their commitment and actions to provide the world’s smallholder farmers access to quality seeds. In many countries, the aging population of farmers poses a threat to the future of agriculture. The average age of farmers in Asia and Africa is 60 years old. This is critical because these two regions hold almost 80% of the world’s populations, and where smallholder farmers account for 85% of the total food production. Adi is more an exception than the rule at the moment, but he hopes to see more young entrepreneurs go into farming. “The reason I chose to focus on seed production is because it is our basic human need to eat vegetables and fruits. Our population will grow, and with it the demand for more nutritious food will grow too. This will increase the demand for good quality seeds. The opportunity is huge and the potential for income will exist as long as humans consume vegetables, and farmers demand good quality seeds,” said Adi. He hopes that the Creative Young Farmer Program can continue to serve as a forum for the new generation of farmers. He and his fellow participants have built a solid community because of the program, and up to now stay connected on Whatsapp and social media, exchanging information such as solutions to common problems like pests and diseases. 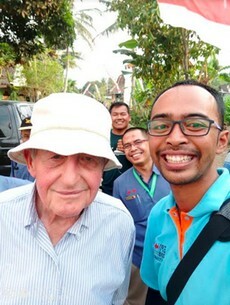 Photo above: Adi takes a selfie with East-West Seed founder and honorary chairman Simon Groot on a visit to a seed production area in Indonesia.